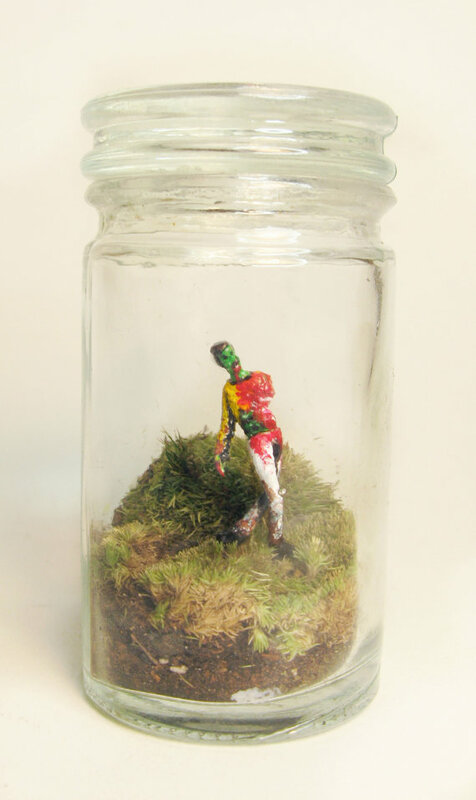 Hot on the heels of last week's Halloween-inspired terrarium bonanza, I share this delightful zombified terrarium from Etsy seller FaceoftheEarth. I love that zombie's swagger! And FaceoftheEarth - I too am jazzed about the return of the Walking Dead!